Many people who want to work from home are simply looking for ways to make a little extra on the side. 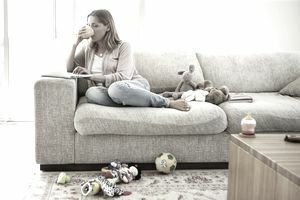 While a part-time job can fill the bill, when you consider the amount of time it takes to commute and do a second job, it might not seem worth the effort. Fortunately, the Internet offers many ways you can build a side-hustle business to earn the extra income you want. It depends on what your hobby is, but there might be a way to turn your hobby into income. If you make crafts or homemade goods, you can sell them through Etsy. If you enjoy photography, you can sell digital pictures online to places such as BigStockPhoto.com or GettyImages.com. If you enjoy cooking and have your own recipes, you can sell them at MyRecipeMagic.com, start a food blog, or create cooking tutorials for YouTube. One of the best benefits to freelancing is the ability to work as much or as little as you want. Further, many businesses need part-time or one-off services, creating many opportunities to make money on the side. Just about any skill you have can be sold including writing, web or graphic design, bookkeeping, virtual support services, and more. The fastest and easiest way freelance on the side is to use online gig resources such as Fiverr, Task Rabbit or Mechanical Turk, and Upwork. Or, if you’d like to earn a little bit more from your effort, market yourself to businesses directly. A great way to do this is to engage your network and use resources such as LinkedIn. Blogging: Starting a blog has many benefits including the ability to write about any idea you’re passionate about and complete flexibility of when you work. There are several ways to make money from a blog including ad feeds, such as Google AdSense, affiliate marketing, selling ad space, and offering your own product or service. YouTube Videos: While these are offered for free, YouTube does offer ways to monetize your videos with advertising. Similar to ad feeds on blogs, this form of income can be significant if you’re able to get a lot of viewers. eCourses: Online courses are popular because you don’t have to leave home to teach them, and depending on how you organize it, it can become a form of passive income once you’ve created the course. E-courses can be delivered as text through email, or you can create something more elaborate that includes videos, webinars, and homework. You can set up and deliver an e-course through your own website/blog, or use a service such as Udemy or Skillshare. Information Products: While courses and tutorials are types of information products, so too are reports, books, and seminars. Often, creating an information product is less work than developing a course or video. Books: If your information is imparted mostly by text, you can write a book. Self-publishing e- and print books is more affordable than ever, and it’s easy to have your books included in the largest online retailers of books including Amazon.com. The key to success in being an author is to write a book people want to read, create a quality product that includes professional editing and attractive cover, and to market. At one time, eBay, Amazon, and Craigslist were your only resources for selling new and used items online. Today, there are tons of online resources to sell goods. An easy way to start is to declutter your home. You can sell your sports equipment, jewelry, books, CDs, old digital devices and more. When you get a sense of what sells well, you can seek out more inventory through local thrift stores and yard sales, or wholesalers online. Whether you want a little extra cash or want to start a part-time home business you hope will grow into a full-time income, success at making money from home requires a plan, quality work, and the ability to reach people who'll pay. If you can manage that, you can turn the assets you have, such as your skills and knowledge, into a side income online.